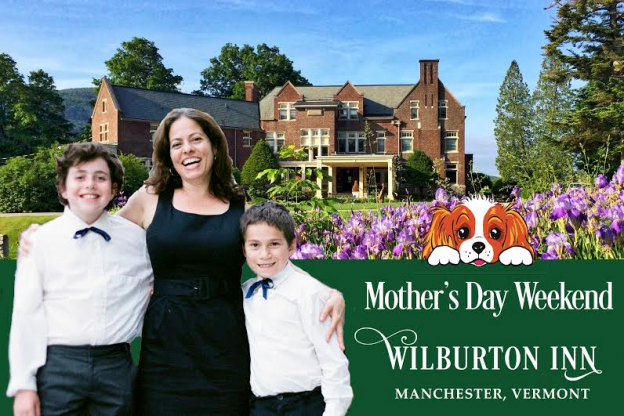 Mother’s Day Weekend is a very special cause for celebration at the Wilburton Inn in Manchester, Vermont. Moms are pampered with complimentary spa bathrobes, chocolates, mimosas, and a mother’s day brunch – plus an outdoor yoga class to work it all off! 2 night packages begin at $375/family. Located on a historic 30 acre hilltop, guests can stay in the Wilburton Mansion or dog friendly houses and guest rooms on the estate. Pets are children too, so there are no pet fees for any dogs that weekend. Manchester is a wonderful place for Mother’s Day because of all the sparkling things mom love at the Manchester Designer Outlets which include Kate Spade, Coach, Ellen Tracey and TSE Cashmere. Manchester offers wonderful outdoor activities like hikes, bike riding, golf and on site tennis at the Wilburton. Only 4 hours from New York City and Montreal and 3 and a half hours from Boston, it’s a charming centrally located New England town. 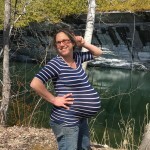 Wilburton family Innkeeper & organic farmer Bonnie Levis is due with baby #4 on Mother’s Day, so it will be a very special weekend for all! For all events happening in Vermont visit Vermont.com Calendar of Events Page. This entry was posted in Activities, Now Trending, Shop, Stay, Things To Do on April 21, 2016 by Linda Cassella.